I want to suggest a feature for fast switch between Full and Mobile site view/useragents. This feature is very useful in case if some sites 'mobile' versions are actually purely optimized or lacks some informations/features in theirs mobile versions (it happens a lot as for me). Current Opera have this feature hidden deep inside setting. 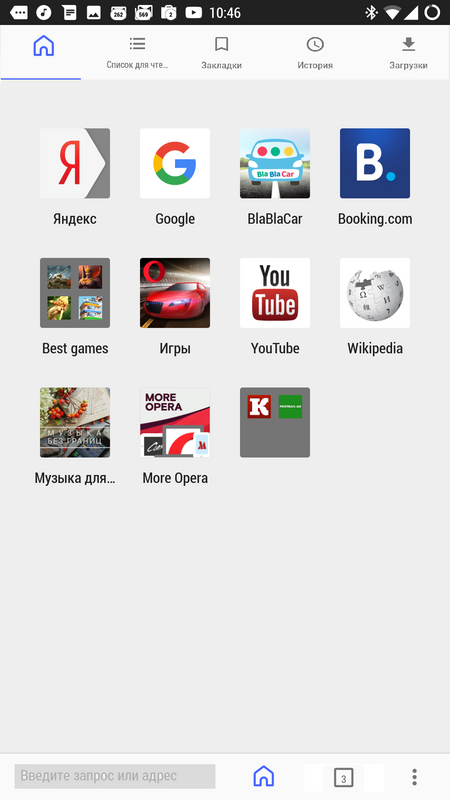 Chrome Mobile, for example, have this switch in main menu without need to even leave current page. So, my suggesting is to do it the same way and put this switch to menu on address bar (where Share, Find, Translate, etc are located). I think all this stuff should be available from the box right on the main page. User center instead could contain all other less important things: downloads, downloaded page, bookmarks, some syncing things, cross-browser history (why not? ), etc, etc. It could be customizable, as it is now for news and stuff. Without calling tabs page, long press on Tabs button bringing up pages preview, then, without releasing the button, swiping left/right to navigate fast between tabs. I like new design very much, but I have a small suggestions about it. Back button on the bottom menu completely duplicates standard android "back" button. So, it should be removed for something more useful. 3. "Share button".. I think its really rarely used, so it also could be moved somewhere else from the bottom menu. Start/Home page could be simply united with "user center" as a tab in it, once again clearing the space from the bottom menu. As a result, 3 buttons menu are gone from the bottom meny without ANY loss of the functionality. And this free space could be used for address bar and the new three-dot-menu button. Hope this will help you in any way!